The exhibition represents his artistic response to the beauty of the landscape and the way he sees the character of the city of Edinburgh. After a successful exhibition in Edinburgh this exhibition now comes to The Hague, hence the title, “Destination Scotland”. All the paintings are in oil and though they vary in size their colours are intense and vivid. 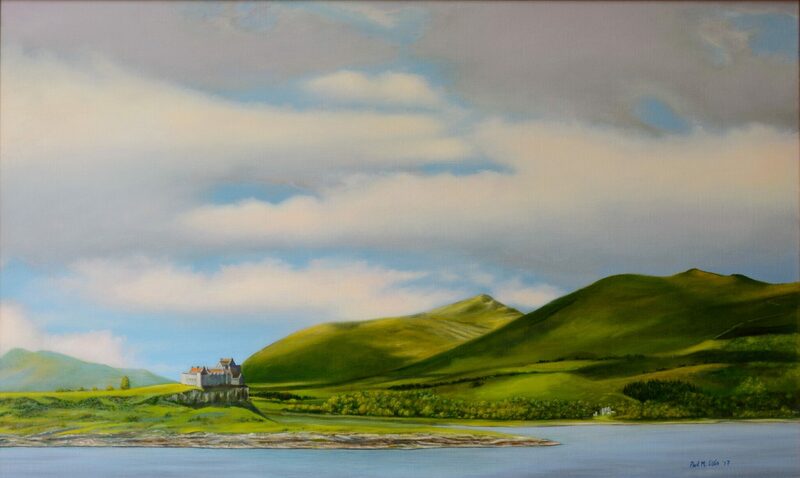 Paul works in a realistic style creating a sense of calm, serene harmony. The exhibition is to be seen from September till the end of November at the new location Of the BSN Language Center at Lange Houtstraat 26, The Hague.